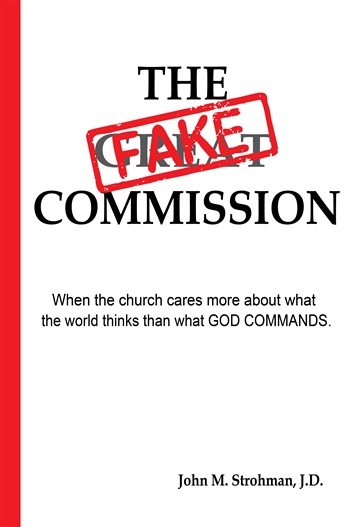 THE FAKE COMMISSION is a serious examination of the Great Commission. We live in a day where felt-needs are elevated over Biblical theology among many Christians, ministries and churches. 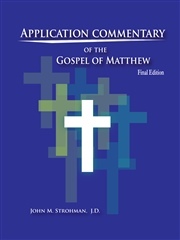 The purpose of this book is to challenge and encourage the serious Christian and the church. Without a correct focus on evangelism and missions, one risks a life of self-deception regarding what real Christian service is. This book does no belabor imprecise terms like "balance" or "moderation" when discussing evangelism and good works - it seeks to be Biblical. When our lives are done, it is the truly Spirit-led obedient believer who will hear: "Well done, good and faithful slave. You were faithful with a few things, I will put you in charge of many things; enter into the joy of your master." (Matthew 25:21). The most distinguishing feature of the author is that he is a sinner who, in his early youth, was saved from the judgment to come by the grace of God. He continues to recognize his complete reliance on the mercy, forgiveness and grace of Jesus Christ to this very moment. * Other matters: John M. Strohman is a graduate of the University of Iowa College of Business and earned his Juris Doctor from the University of South Dakota School of Law. For over two decades he has served as an Assistant Attorney General for the State of South Dakota. As an attorney with 25 years of experience, he has handled a variety of cases, including serving as counsel for more than 150 cases before the South Dakota Supreme Court. John has also held faculty positions as an adjunct professor for Liberty University, South Dakota State University, Northern State University and Colorado Christian University. His teaching experience has spanned both the undergraduate and graduate level. 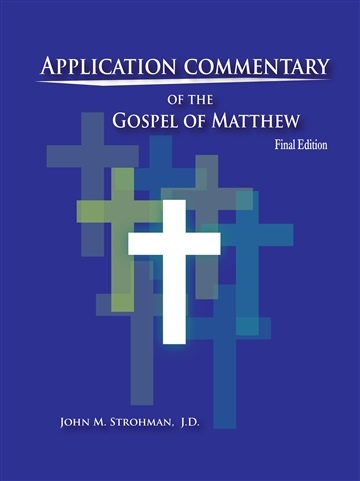 In 2012 he authored the Application Commentary of the Gospel of Matthew and in 2014 he authored The Fake Commission. He has served on mission boards and is the current chairman of Cross Centered Missions. John and his wife, Sarah, share a passion for equipping young people in Christian service through discipleship, Sunday school, Bible studies and leading short-term mission trips. Oh yes…and at age 53, he can still do a backflip!